Already considered as a reference in most of Europe, this book is now presented in a new, completely reviewed and updated English version including the most recent scientific findings. This identification guide includes all the marine fish species that may be encountered in coastal of Western Europe and the Mediterranean up to 50 m depth. It offers the vastest iconography ever gatherded on marine fish of the area: not only a profuse collection of photographs, but also line drawings illustrating the key distinctive features of each species. 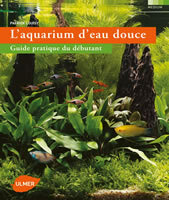 Although scientifically rigorous, this book focuses on simple visual criteria to identify fish in their environment. Fishermen and amateur divers will enjoy it as much as students or scientists!